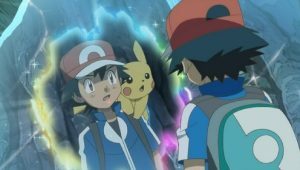 As Ash and his friends are continuing their journey, they come across a large canyon. 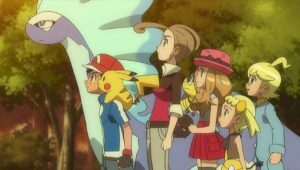 The group looks at the canyon in awe, admiring the very appearance of it. 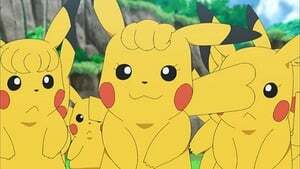 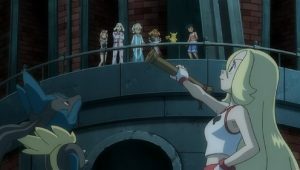 They decide to bring out their Pokémon for a break and Ash’s new Hawlucha startles Fletchling. 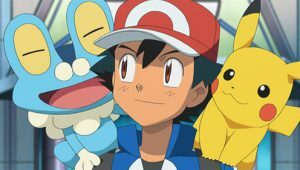 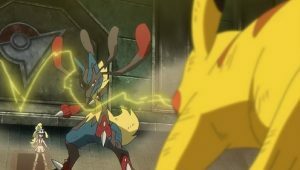 Ash introduces Hawlucha to the group, and almost everyone seemed excited to meet their new friend, with the exception of Froakie, who didn’t seem as excited as everyone else since he already met and battled Hawlucha. 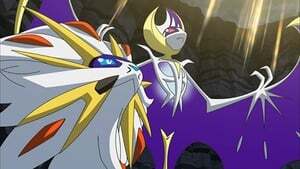 Just as they are talking about the canyon, two Trainers in wing suits hover across the canyon, having what is identified as a Sky Battle between a Talonflame and a Skarmory. 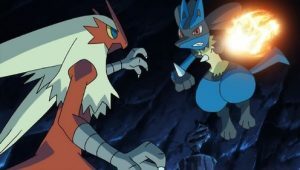 One trainer’s Talonflame quickly gains the upper hand and defeats Skarmory. 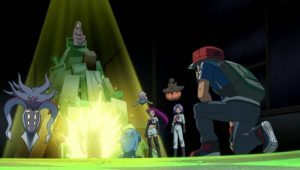 The group, Ash in particular, takes interest in the kind of battle in question. 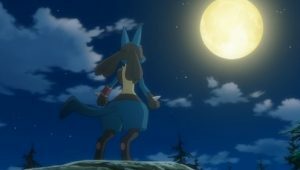 Just then, a man comes and asks if this is their first time in the canyon. 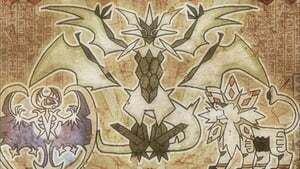 The instructor introduces them to Sky Battles, which are battles hosted in midair and involve flying Pokemon. 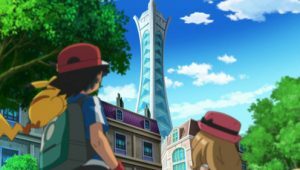 He brings them to the facility in which wing suits can be obtained, and Ash, Serena, and Clemont all obtain wing suits of their own, but Bonnie is unfortunately too small to receive a wing suit, much to her dismay. 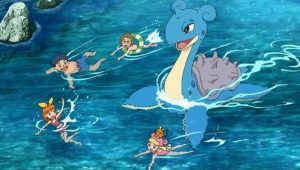 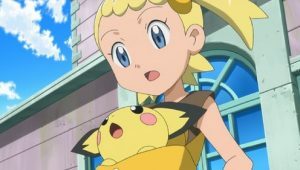 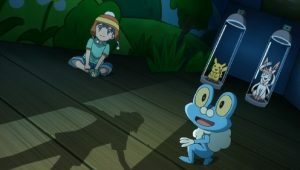 Serena tries to decide on staying with Bonnie to comfort her, but Bonnie thinks she is fine with Dedenne to give her company. 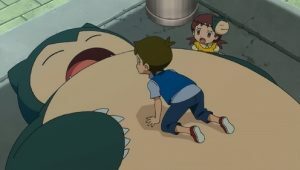 Just then, Chespin pops out of its Poké Ball to comfort Bonnie. 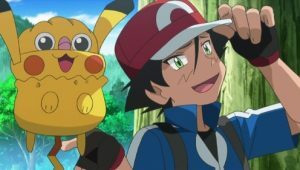 Ash proceeds to send out his Fletchling and Hawlucha. 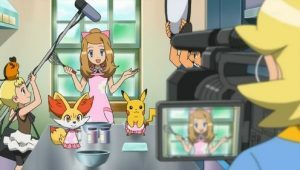 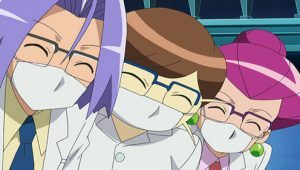 Ash, Serena, and Clemont begin to test their wing suits in an air room, while Bonnie jealously watches. 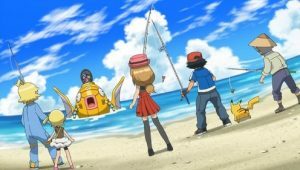 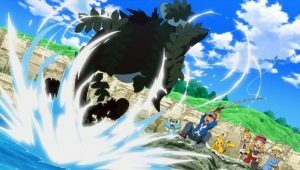 All goes well for Ash and Serena, as well as Hawlucha and Fletchling, but Clemont has difficulty flying properly. 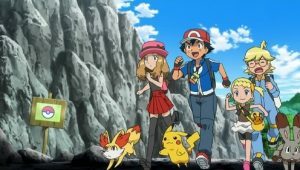 While they are testing flight, the woman from before shows up and challenges Ash to a Sky Battle. 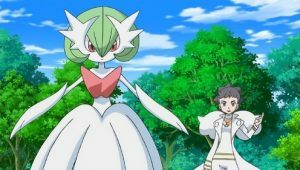 The woman identifies herself as Moria, who is with her Talonflame. 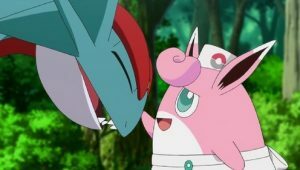 The instructor then elaborates on how Moria is one of the instructors at the canyon Sky Battle facility. 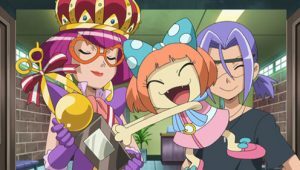 Moria explains that her previous opponent was weak, and proceeds to challenge Ash. 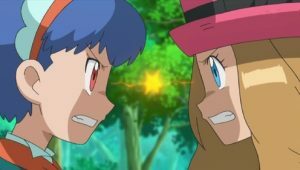 Fletchling is eager to face Talonflame, but Talonflame rejects Fletchling, seeing it as weak and unworthy, much to Fletchling’s dismay. 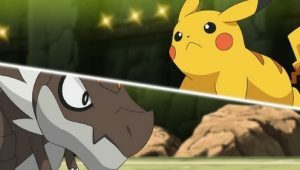 However, Talonflame decides to face Hawlucha, to which Moria concurs, on the condition that if Hawlucha wins, then they will battle Fletchling. 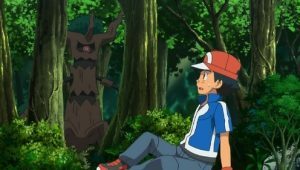 Ash accepts the challenge. 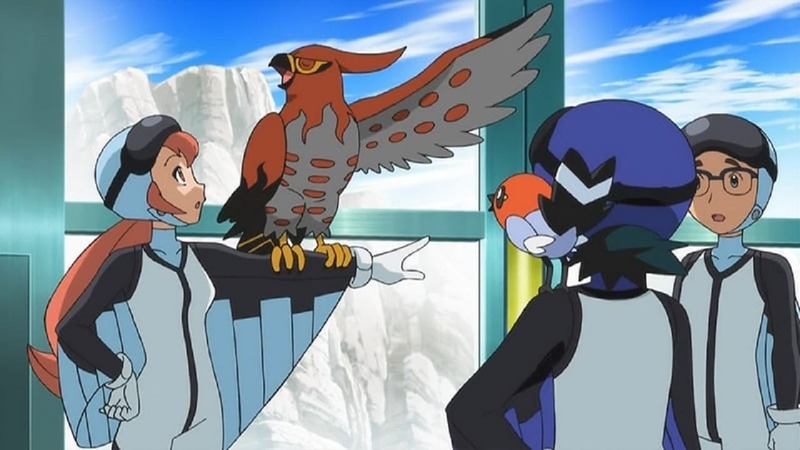 Meanwhile, Talonflame and Hawlucha battle, and Fletchling watches the battle carefully and observes Talonflame’s movements while being comforted by Bonnie. 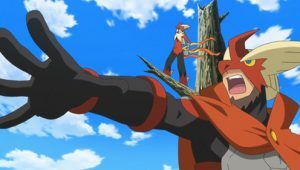 However, since Hawlucha relied mostly on gliding rather than actual flight, it was at a disadvantage and ultimately lost the battle. 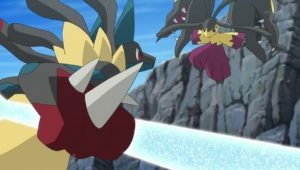 Moria decides that she would not battle Fletchling. 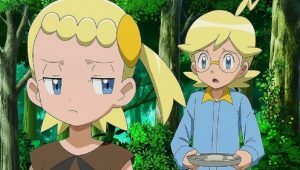 However, Bonnie asks that Fletchling battle, to which Ash concurs, but Moria is reluctant since Hawlucha had lost. 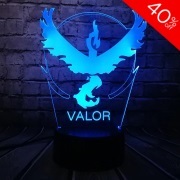 Just then, Talonflame is captured in a net and cries for help. 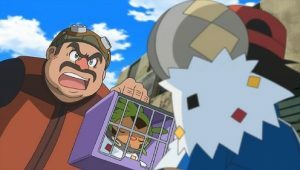 The thieves are ultimately revealed to be Team Rocket, and they proceed to attempt to escape with Talonflame as hostage. 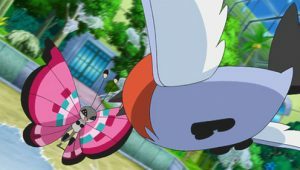 However, Ash, Serena, Moria, and the instructor give chase by flying with wing suits, to which Team Rocket thinks is unfair. 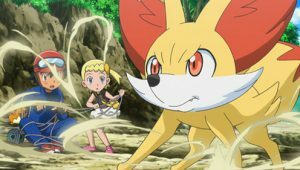 As Ash, the instructor, and Moria proceed to try and break Talonflame free, Serena sends out Fennekin and instructs her to use Flamethrower which is a direct hit that sends the balloon crashing to the ground. 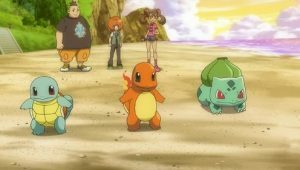 As Ash and the others land, Team Rocket sends out Pumpkaboo and Inkay to battle. 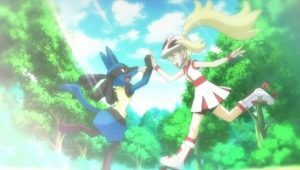 Ash sends Fletchling to help out. 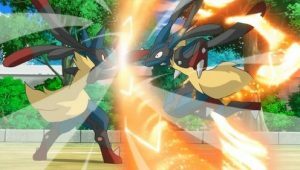 Inkay starts with Tackle, but Fletchling stops it with Razor Wind and breaks Talonflame free with Steel Wing, which earns Talonflame’s respect. 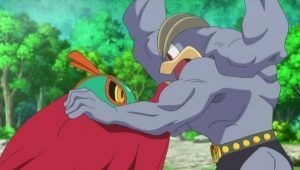 Fletchling also proceeds in dodging Pumpkaboo’s Dark Pulse and scores a direct hit with Peck. 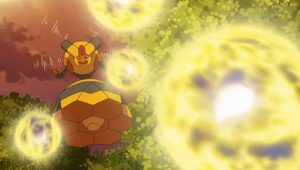 Inkay uses Psybeam, but Talonflame dodges and use Fire Blast to finish off Team Rocket’s Pokemon and sends them blasting off. 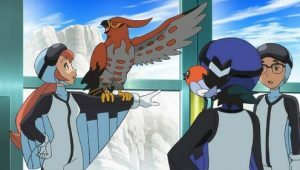 After this, Talonflame finally decides that it will battle Fletchling. 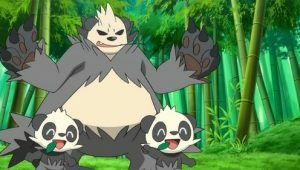 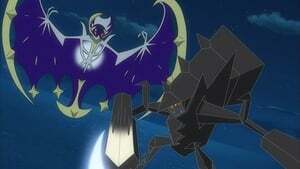 Moria and Talonflame then battle Ash and Fletchling, and the two undergo a very tough battle. 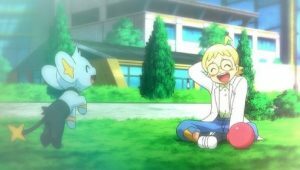 Meanwhile, Fletchling gets hit by a powerful Fire Blast and is consumed within the flame. 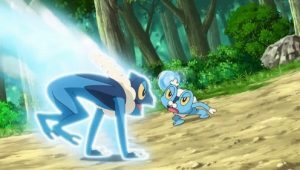 Just when all seems lost, Fletchling evolves into Fletchinder and learns Flame Charge. 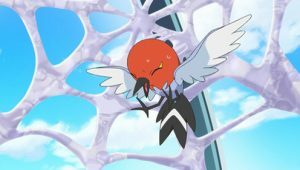 Fletchinder then proceeds to use the move consecutively, and makes use of the speed boosts from the move to outpace Talonflame and score a final hit with Flame Charge, defeating Talonflame. 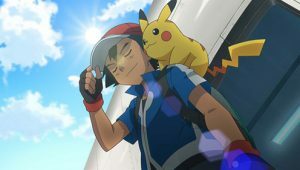 Fletchinder then celebrates its victory with Ash and Bonnie. 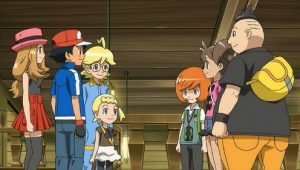 Back at the Sky Battle center, the group proceeds to say its goodbyes to Moria and the instructor. 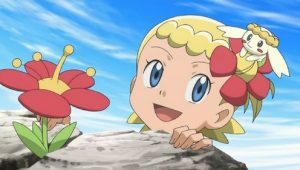 The instructor suggests that Bonnie return to the Sky Battle center when she becomes taller, to which she agrees to. 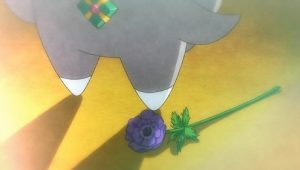 He also promises to prepare a wing suit for her. 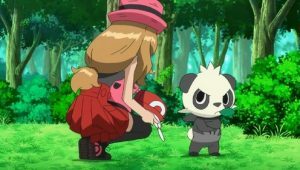 The group leaves, with Bonnie running excitedly.